I saw a movie at my mother's house which is in onehunga which is far away and my brother and sister lives there too. the movie was called baby driver and there wasn't a baby driving a car it was a criminal movie. there was a man called baby who drives robbers to banks (with mask) and then drives away from cops. baby also listens to music because his parents died in a car crash when he was a kid, he was also in the car. after a while he falls in love with a girl at a coffee which also works at the coffee shop to, he name was barbra. Task description: Make our own kahoot game. write down a question 4 answers and put an image. make 10 slides with 1 questions and 4 answers on each slide.All images are not mine. I think that I have done good and spoke more then I have last time. I got to my goal which was to speak more and share what I though. I thought I did a good job with sharing my ideas for the topic. I think talking about our planet went good but the other planets said some good things about their planet.I think being civilised is good because there not many wars for land and the wars could be about jealousy. many people in the medieval age started wars for land and then when one kingdom wins they destroy the other kingdom they where battling but when they claimed land another kingdom would attack to claim the land but now wars are because of jelousy or something else. the topic for our seminar was is being civilised good? being civilased has its pros and cons (pros: good cons:bad). going back to when caveman lived we weren't civilased but now we are. do you think being civilased is a good thing or bad thing. 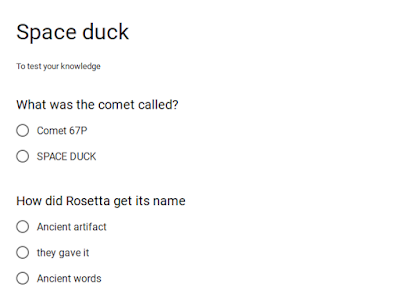 Task description: write a description explaining the aliens. write some things that describe them like there colors. Task description: Upload a image that we can use. put image attribution to take it to the image. use an image and attribute it for cyber smart Monday. On thursday we were going on a trip to star dome it was three dollars to go, 2$ for the bus and 1$. We were in groups too. On the way me and my friend (we were in they same groups) and played games on the bus while waiting to get to star dome. When we got to star dome we sat down in our lines waiting to go in. have you ever been in star dome before? Our teacher said that we arrived 10 minutes early so we got to play on the park. They park had an flying fox an tire spinning thing ( I don't know the name of it) and an spider web there was more to the park. After we were finished we got back into our lines than we went inside. What park have you been too? Inside the building near the entry there was a rocket figure made of lego. In the building there were rocket figures made of lego. There were telescopes, rockets, screens (with info about space shuttles) and other stuff. After that where went too do an quiz with our groups then we went into a dome to watch an short movie. 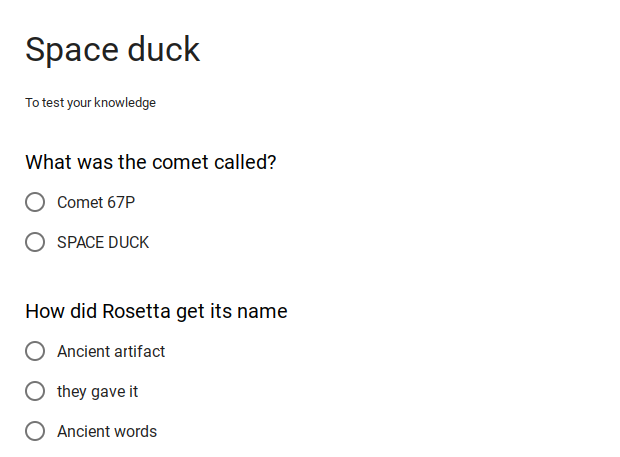 Have you done a quiz about space before? In the dome we sat on some seats I sat with my friend and we looked up at the dome and watched what happened. Before they movie we say we're jupiter and saturn was at night. When we watched the movie it was about finding a new place to live. When the movie was done we went onto the bus and went back to school. Have you seen a movie about space before? During our trip I have learnt that we should take of earth better so we don't need to move planets. I also learnt that when making rocket figures it's easier too use lego instead of using a lot of money. I have learnt about titan have methane rain and methane slush rivers. 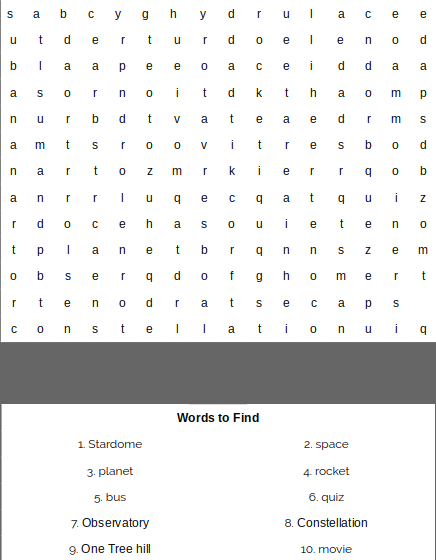 Task description: write about our trip to star dome. write what we did there and what we learnt. ask question about some things we did. Task description: write a PMI chart about our trip to stardome. write about when we liked and what we didn't like. write what was interesting. Task description: Fill in an image on pixlr editor to make our character. write what his name is, how old he is, whats his country, what is his languages and his skills. write a reason for him to join the mars one project. Task description: put images on our slides with attribution. Write when there going to mars who goes what they will do on mars and more. research about the mars one project so we can write down our facts. 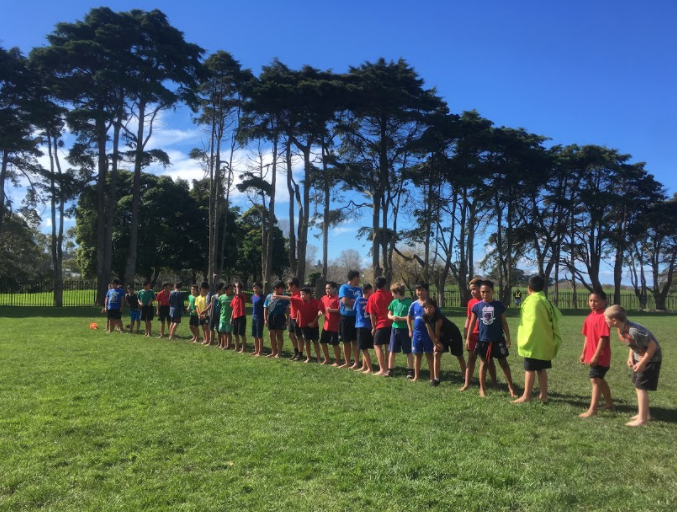 On Friday last week we had our cross country race. 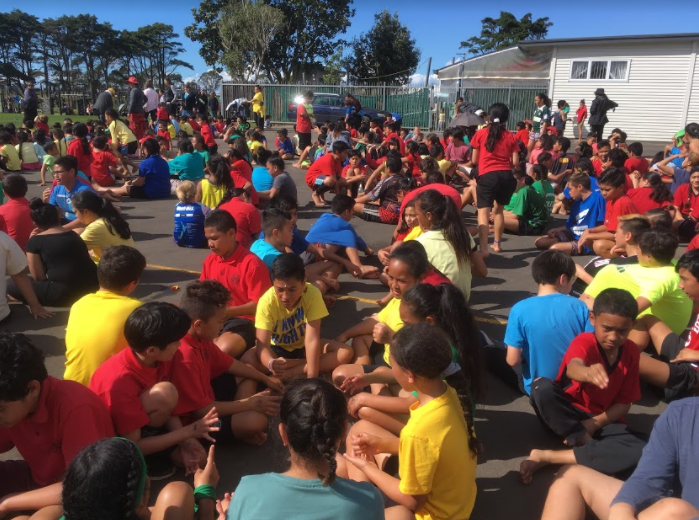 All the teams where sitting from year one to year 8. The girls and boys were separated in different lines. Once we got into our lines Mr Burt told us what was going to happened. Teachers were going through the lines giving kids some sun cream. Task description: write about what we did in cross country. Put a Link to our full story if we want. put a picture that has something to do with our story.